Necrons and Daemons are ever so slightly less cheesy. Yesterday was the final outing for my old daemons. I say final because I don’t think I’ll be playing in any tournaments in the next 28 days or so, and I think that the local tournament scene generally has a 30 day window on codex releases. Anyway, my friend Andy and I teamed up for a local team tournament at Olde World Gaming in Elk Grove, CA. Andy plays Necrons and Dark Angels, and neither very often. We went into the day with the thought of finishing in the mid/upper tier but I wasn’t expecting 3 wins. The first game was against a newer player, and while he put up a good showing it wasn’t really a fair match. He was the ringer playing a single 2k point list against our Necron/Daemon list. The second game was against a local favorite and his brother. It was Space Marine bikes and Tau against us in Vanguard. This was a much harder fought win, but still a win. There are games like that one where everything goes my way and I see that my flamers are just awesome. The last game was a knock down drag out “mirror” match where we fought Necrons and Tyranids. 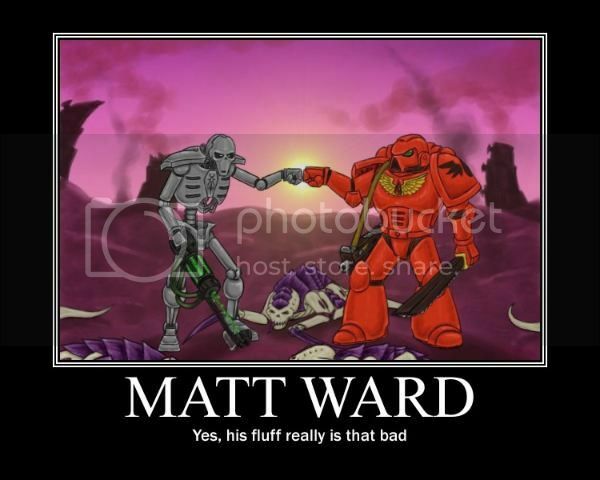 It was Dawn of War and every turn ebbed and flowed. At any given point the game could have gone either way. We ended up pulling out a narrow victory, unlike the first two games. The win earned me a Burning Chariot model, which presents its own set of issues (embarked passenger firing heavy weaponry, d’oh!). So, when I look back at my experience this last year with my daemons I see a mixed bag. I did well with them in 5th edition, but not awesome. That said, I only started playing 40k again a little over 2 years ago, so I consider myself still learning. The changes to the flamers and screamers made my army better, no doubt, but did it make me a winner? I can’t say for sure, but it didn’t hurt my odds.